TED (Technology, Entertainment, Design) is a U.S. based private non-profit foundation that is best known for its conferences, now held in Europe and Asia as well as the U.S., devoted to what it calls "ideas worth spreading." Its lectures, called TED Talks distributed through the Internet, are subject to an eighteen-minute time limit. Speakers are an eclectic mix of people with ideas representing a wide cross section of humanity. Cost arbitrage that began with call center outsourcing from the West to India has now found its way into the low-rent wombs of poor Indian women! This new growing business has created a global supply chain with low-cost human babies as the final product brought to the West. This business can cut the cost from over $100,000 in the U.S. to less than $6000 per baby in India. 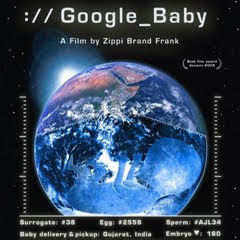 It is explained in an Israeli documentary "Google Baby" scheduled to be aired on HBO in the United States tomorrow. The movie follows an Israeli gay man who decided to have low-cost test-tube babies by outsourcing the job to India. 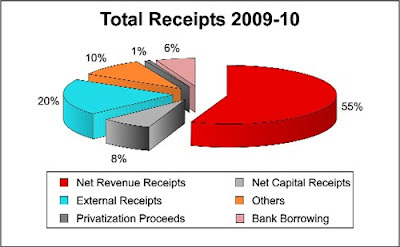 Abdul Hafeez Shaikh, the newly-appointed finance minister, presented his first and the government’s third federal budget in the National Assembly on June 5, 2010. Budget 2010-11 is the first budget under the new National Finance Commission Award and as such it posed difficulties far many analysts, experts, trade bodies and other segments of our society in understanding the budget. The varieties of comments made in the print and the electronic media on the budget reflect such misunderstandings. One such misunderstanding deals with the size of the allocations made to the health and educational sectors. OPEN Forum 2010 in Silicon Valley, California attracted nearly 600 people, including entrepreneurs, venture capitalists, engineers, lawyers, physicians and others on June 5, 2010. It was an all day conference organized by the Organization of Pakistani Entrepreneurs (OPEN) in Silicon Valley featuring 5 plenary sessions, and over a dozen break-out sessions addressed by 58 speakers and panelists on special topics of interest to various groups of attendees. The conference had a large number of sponsors, including dozens of Silicon Valley companies founded or managed by Pakistani-Americans. This post is based on partial coverage of the event. For more details, please view the conference video recordings on facebook available via Vpype, a startup founder by Pakistani-American entrepreneur Shoieb Younus. Pakistan's media and telecom revolution that began during the Musharaf years is continuing unabated. In addition to financial services, the two key service sectors with explosive growth in last decade (1999-2009) in Pakistan include media and telecom, both of which have helped create jobs and empowered women. In the area of internet penetration, Pakistan is placed third and for broadband penetration the country is ranked fourth.